As Halloween fast approaches, we were inspired to bring you some of the darkest and most bizarre items we’ve come across. Hands down, this pinhole camera crafted by sculptor Wayne Martin Belger is the spookiest we have ever seen. The piece, entitled Third Eye, is part of a small collection of eerie photography equipment made from metal, precious stones, and human remains. 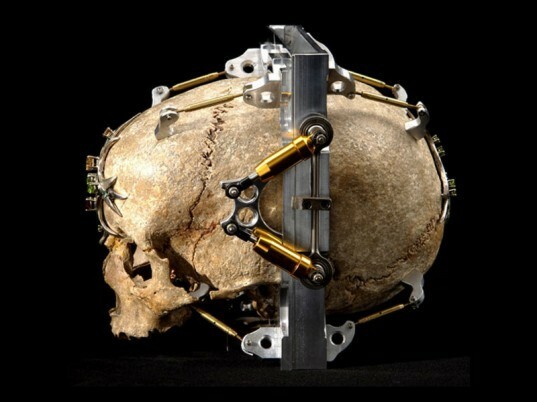 From a green design perspective, the camera incorporates re-purposed and natural materials, but the use of a human skull has created a stir about whether it’s ethical or not. We’ll refer to the sculptor’s take on it: in his artist’s statement, Belger comments that his work is inspired by gold and silver products used by priests, which represent the body and blood of a spirit. 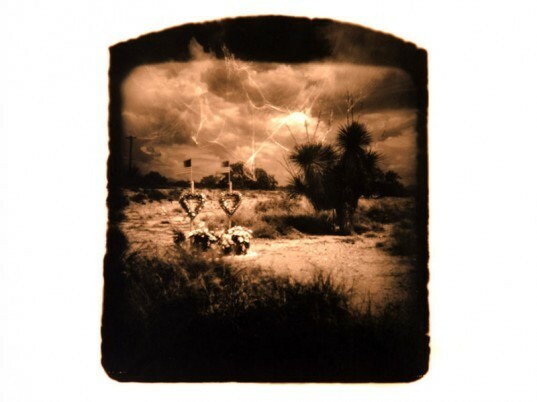 He also states that each camera is intended to relate to a specific subject to be photographed; in the above case, it is a gravesite. As intended, the sepia-toned, blurry photos taken with the camera give onlookers a chilling feeling, along with an appreciation for the odd, and beautifully dark imagery. This is gorgeous. When I die I hope to be so useful. As Halloween fast approaches, we were inspired to bring you some of the darkest and most bizarre items we've come across. Hands down, this pinhole camera crafted by sculptor Wayne Martin Belger is the spookiest we have ever seen. 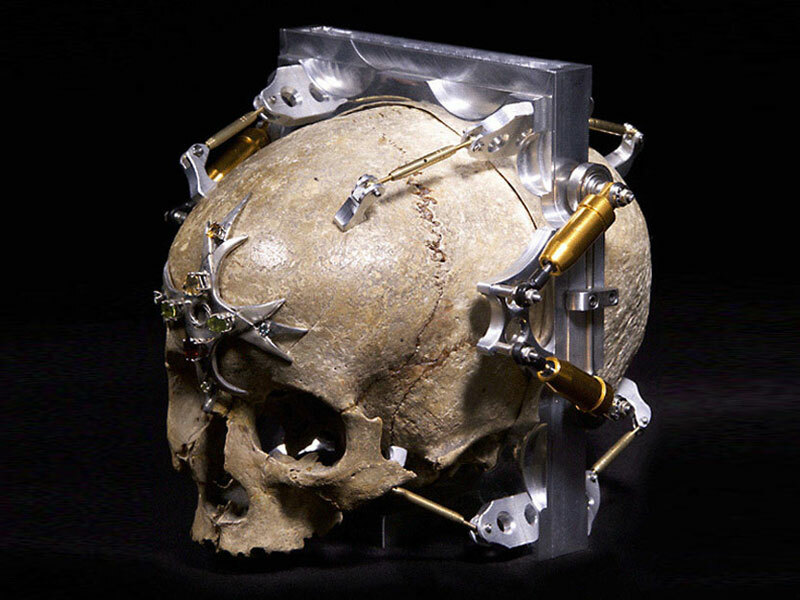 The piece, entitled Third Eye, is part of a small collection of eerie photography equipment made from metal, precious stones, and human remains.